Core Black / Ftwr White / Gold Met. Limited-edition trainers marking 70 years of the adidas name. 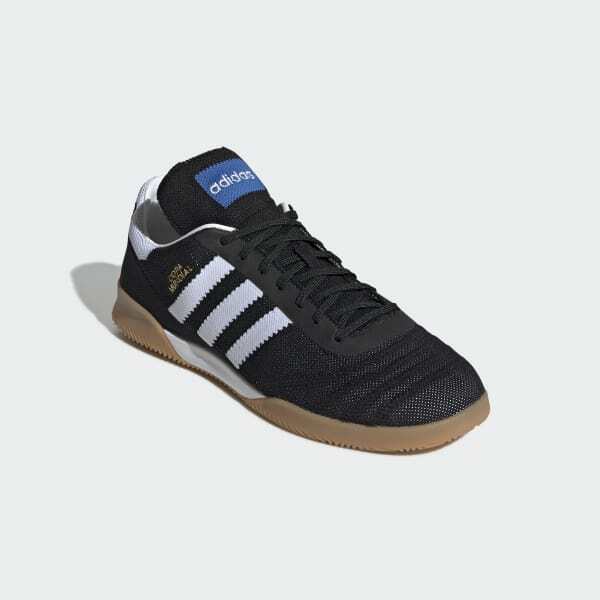 Celebrate seven decades of adidas and its passion for football with the reboot of a classic. 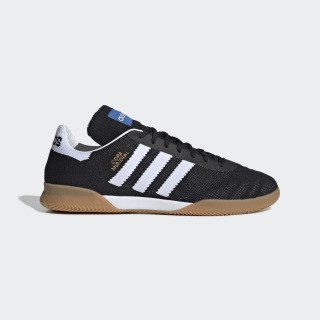 Designed to star on the street, these limited-edition trainers take the original Copa Mundial and turn it inside out. Lined at the heel with soft leather, they have a knit textile upper. The iconic Bluebird label is engineered into the tongue. Product colour: Core Black / Ftwr White / Gold Met.